Feedback is one of the most powerful influences on learning and achievement, but this impact can vary, dependent on when and how it is used . Evidence shows that although feedback is among the major influences, the type of feedback and the way it is given can be differentially effective. Dr. John Hattie, world renowned educational researcher and author of Visible Learning, has studied the effects of various influences on student learning and in each study, meaningful feedback by far has the most lasting and powerful impact on student learning. Hattie has made clear that ‘feedback’ includes telling students what they have done well (positive reinforcement), and what they need to do to improve (corrective work, targets etc), but it also includes clarifying goals. As well as feedback on the task, Hattie suggests from his studies that students can get feedback on the processes they have used to complete the task, and on their ability to self-regulate their own learning. All these have the capacity to increase achievement. Feedback, in essence then, is meant to engage your students in their learning. As World Language teachers, we are constantly looking for ways to engage learners in new ways while encouraging them to use their language skills beyond the classroom. But beyond that “encouragement” to do this, how do we use tools that recognize student progress, help them “engage” in their language learning beyond the classroom and, in a world of social media, “socialize” their accomplishments? 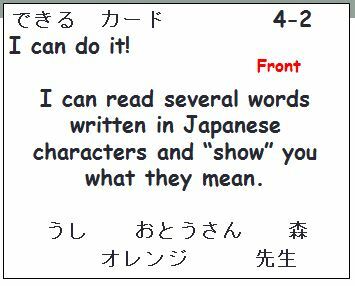 For many years, I used specific “task cards, called “I can do it” cards as a form of self-assessment for the student, performance assessment (Presentational, Interpretive and Interpersonal modes) f ormative assessment for me as the teacher and as an element of advocacy to display the accomplishments of our K-5 Japanese program. Each student would receive about 8 cards at each grade level per year. These were tasks/learning targets that had been practiced in class, important language functions that students needed in order to be able to be successful in accomplishing a larger performance assessment benchmark. When the student received this card, they needed to perform the task for their peers, their parents/guardians and finally for me. When they had performed this task for their peers and parents/guardians, their peers and parents signed the back. The student then put the signed card in the “to be check ed” folder in their classroom. As I had time in class, I would pull these cards (a few a day or each week, at the end of class or while the students were working on an activity) and then quickly assess the students on this task. It worked as a great self-assessment in that the students had to have several people to practice in front of (parents/guardians or other adults in the school and peers), and a quick formative assessment and feedback for me to ensure that student learning had happened. As mentioned before, as an “extra” built in advocacy piece, it let the students show their parents and the larger community what they “could” do in the target language. As a side piece and my use of “I can do it” cards evolved, I would track students work on a Google Spreadsheet (one could use a regular spreadsheet as well), which allowed me to check in on how they were doing at any time, any place, make copies and manipulate the results in various ways to collect and analyze data on large groups as well as individual students. It also allowed me to categorize and let new students to the class begin with task cards from the lower grades, offering them an alternative so that they could begin to see their own success and growth with the language. Have you always wanted to give consistent and constant recognition to all your students as they try to communicate with their new language skills and/or incorporate previous learning to make new meaning? Have you found it too cumbersome and laborious to have tally sheets, lists, check-offs, etc. that you try to keep organized and remember to “check off” during regular classroom activities or performance assessments? Why not try a Web 2.0 version with an accompanying app that allows you to streamline this and more? ClassDojo can help. 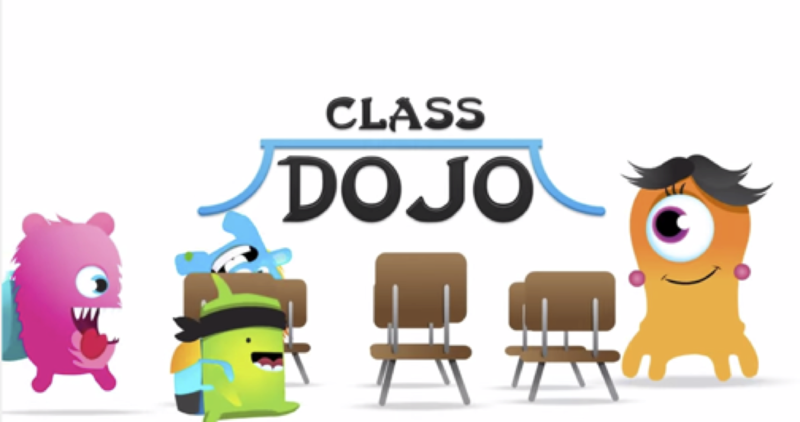 ClassDojo began as a classroom management Web 2.0 tool for middle school students about five years ago. It was meant to showcase and give credit for positive behaviors displayed in class and tracked individual students with personal accounts that could be accessed by the student and their parents in order to monitor their growth in this area. 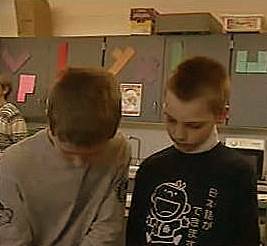 The teacher can customize the “behaviors tasks” that they want their students to be able to do. I quickly realized that this tool can easily be used by World Language teachers to set “tasks” in the target language and be able to instantly assign credit for accomplishments. Each student is assigned a profile with an avatar (that they can customize to fit their own personal style) and their own account that parents can log into. Teachers can bring up all student profiles for a class at one time and assign points for accomplished tasks with a touch of the screen. The points are collected and data is pulled to show students, their parents and the teacher how students have performed on certain types of tasks over a designated period of time. The convenient app mirrors the online version allowing for mobility of use by the teacher to assess students as they are performing in the target language. Many improvements have come over the past few years, one being the private messaging feature that allows for customized feedback to each student or a group of students. This also serves as a two-way communication tool between home and school. The other added feature is the student portfolio. While this is the newest feature on the market (and one that I have not used) the ideas shared by teachers of other disciplines speak to the ability of students to continue to take their learning to a more personal level, documenting their work and their learning success. My advice on using ClassDojo would be to start small. Think of a task or daily skill that you could assess your students on so that you and your students can learn the features that ClassDojo has to offer and continue to explore the power that this tool can potentially have on engaging your students, your parents and your entire classroom community. © 2019 Wisconsin Association for Language Teachers - All Rights Reserved.